When you own a business, you often juggle multiple jobs: from marketing, to hiring, to bookkeeping, the list can seem never-ending. Add the demands of personal life, and wearing several hats can easily blur lines between personal and business transactions. Without an established asset protection plan, personal assets become an easy target for business creditors. There are many ways to make personal assets appear “unattractive” to creditors. Remembering four keywords can help prevent unnecessary risk to your personal assets: structure, separate, research, and insure. 1. Structure your business as a separate legal entity. Many minds equate asset protection with establishing a business as a separate legal entity. Doing so distinguishes your business as its own legal “person,” capable of incurring its own debts and liabilities. While business creditors can go after the business’s assets, personal creditors cannot. When forming a business entity, most owners either form an LLC (“limited liability company”) or a corporation (usually an “S Corporation”), because they provide the most extensive liability protection for small businesses. An LLC is an “informal” entity, operating more flexibly than a corporation. “Limited liability” means that creditors cannot hold an owner liable for more than the amount he or she has personally invested. LLCs are the more popular structure for small businesses, given the low start-up cost, minimal paperwork, and pass-through tax treatment. However, this structure is not always appropriate, given the limited duration of LLCs and the crystal-clear distinctions required between the LLC’s affairs and the owner’s affairs. A corporation is more “formal,” requiring the business to satisfy several technicalities, such as mandatory reports, meetings, and shareholder limitations. Usually, an S Corporation is a more appropriate structure for small businesses, given the high tax payments associated with C Corporations. Owners are generally not held liable for debts or liabilities incurred by the business. They demand higher start-up costs and compliance with strict structural guidelines. However, excess profits are entitled to tax benefits that LLCs do not offer. When forming a business entity, attorney consultation can help you assess the positives and negatives of each structure and determine which formation best serves your interests. 2. Separate personal accounts and business accounts. Certain things in life are better left unmixed –bleach and ammonia, for example. Comingling funds is equally ill-advised, as creating a business entity does not immunize an owner’s personal assets from business creditors. If your business creditors and your personal creditors are the same people, you’ll likely find yourself treading dangerous waters. For this reason, any debts or judgments that you are personally responsible for ought to be satisfied entirely by your own pockets and assets. Additionally, any debts or judgments incurred by your business should be satisfied solely by the business. To simplify the separation, create an account devoted purely to handling business transactions. Funds in that account should NEVER touch personal expenses. Likewise, funds within any personal account should be kept separate from business expenses. 3. Research available asset protections. As trivial as it sounds, it is important to regularly inventory all of your assets, as well as the values and debts associated with them. Doing so enables you to identify which assets might be exposed to creditors. Once familiar with your weak spots, you can research which assets are exempt from creditor action by state or federal law. Assets falling within the business entity may only be pursued by business creditors. Personal assets that are not exempt may be pursued by personal creditors. To protect these personal assets, you can set up protective entities, such as trusts. A trust places asset ownership into another’s hands for your intended beneficiaries. While assets are removed from your ultimate control, they may be removed from creditors’ reach. 4. Insure both personal and business assets. Asset protection does NOT substitute the protection that insurance offers. The two are unique and serve separate functions. Asset protection helps deter creditors, but it is not always 100% effective. 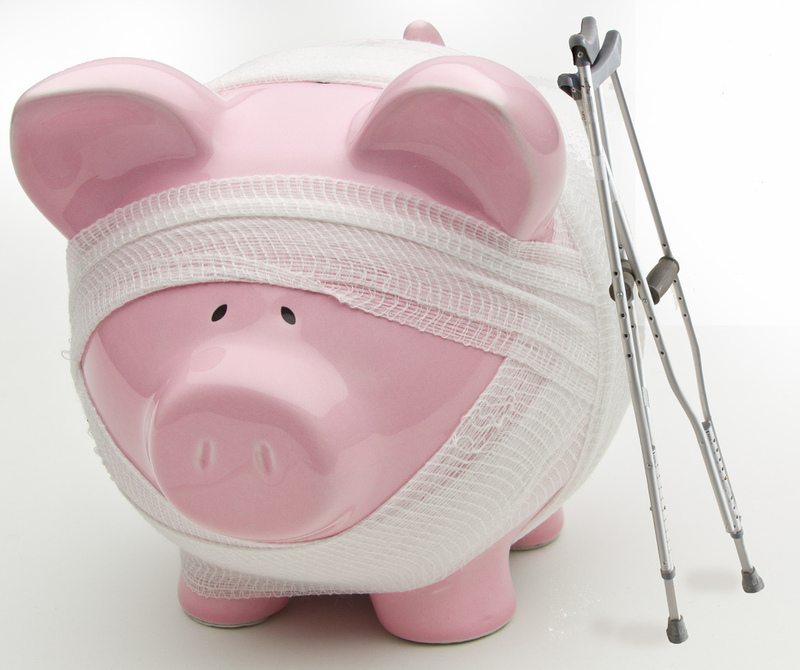 Should creditors pursue your personal assets, insurance pays for legal defense in a lawsuit. Types of policies regularly considered are liability insurance, property insurance, and umbrella liability insurance. Be certain to have an attorney look over any policies prior to signing. Attorneys can determine whether you are getting the best coverage available and whether your assets are effectively protected. About the Author: Brittany Robinett is a second year law student at the Georgia State University College of Law.